The Danby DCFM177C1WDB chest freezer has 17.7 cubic feet of interior space with two heavy-duty wire baskets for supporting frozen foods. Its aluminum interior is durable and easy to clean. To retain cold air and conserve energy, the lid and cabinet are insulated with foam. The manual defrost system prevents frost buildup, with a front-mounted defrost drain that simplifies maintenance. To show when the freezer is powered on, an indicator light on the front-mounted thermostat illuminates. 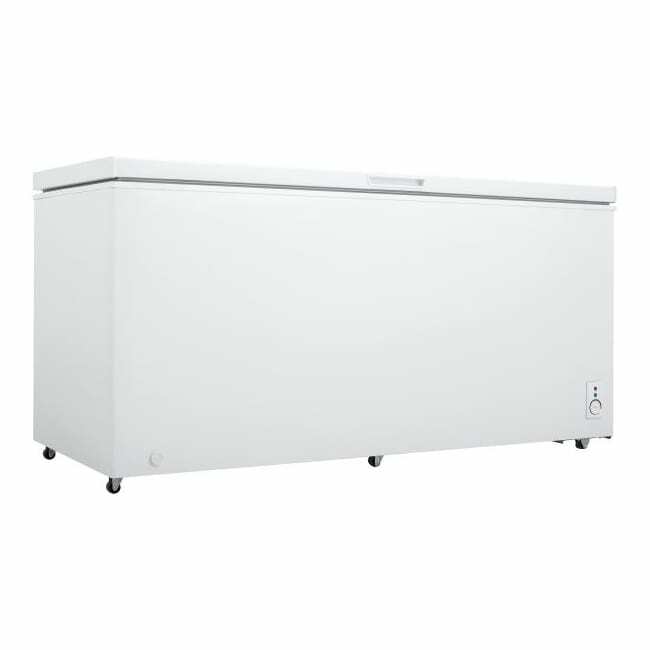 The Danby DCFM177C1WDB chest freezer comes mounted on rollers to assist with transportation. To learn more about chest freezers and their features, check out our guide to buying a freezer.